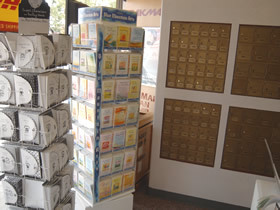 Jonesboro Pak Mail carries an array of Avanti everyday and winter holiday greeting cards. Our everyday selection includes birthday, anniversary, new baby, thank you, congratulations, friendship… and more! Our winter holiday cards are available in late October. Stock up for future events or select one for the gift you’re sending today. Avanti cards express just the right sentiment… in a fun way. Our holiday cards are available seasonally. Stock up for future events or select one for the gift you're sending today.